European Club Association chairman Andrea Agnelli said Tuesday at a meeting in Croatia that a UEFA panel has picked a preferred option of 32-team lineups in the Champions League, Europa League and a yet-to-be-named new competition. The UEFA executive committee could approve the plan later this year, Agnelli said. The likely timetable for a decision is a meeting in Dublin on Dec. 3. 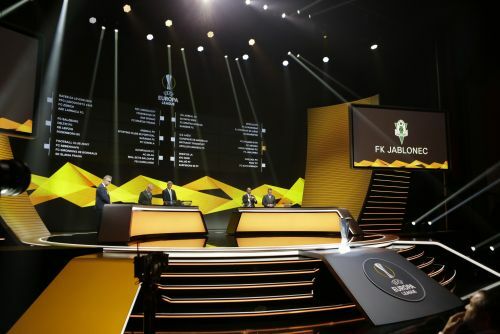 Details of how clubs would qualify for a new competition have not been decided, the ECA and UEFA said Tuesday. Other discussions at the meeting in Croatia included when clubs must release players for national team duty, playing continental championships for national teams at the same time, and cutting back on domestic matches. All three subjects are part of FIFA-led talks to agree on a new international calendar beyond 2024 — the year when widespread changes to soccer can take effect, Agnelli has said. UEFA and European clubs have previously agreed not to change the Champions League until 2024, but wanted to modify the Europa League in 2021 when a new round of broadcast and sponsor deals begin. ECA vice chairman Dariusz Mioduski said a third competition could help close a growing "financial gap and participation gap." "Increased participation by smaller and medium associations has been achieved," said Mioduski, a director at Polish club Legia Warsaw. Europe had three club competitions from the 1960s until 1999, when the European Cup Winners' Cup was abandoned. It was incorporated into the UEFA Cup, which was rebranded as the Europa League in 2009. The European Cup was the original and most prestigious event, starting in 1955. It was rebranded as the Champions League in 1992, and gradually took more teams from the most successful leagues. That has drained quality from the Europa League, which now adds eight teams into the knockout round after they place third in a Champions League group. The Europa League is mostly played on Thursdays, while the Champions League takes Tuesdays and Wednesdays. It is unclear which days a third competition would get. Tuesday's announcement built on a tentative UEFA statement two weeks ago that "various ideas" were being reviewed within committees, which include ECA delegates. Back then, UEFA president Aleksander Ceferin said proposals were "just discussions."